New Christian inspirational novel pitched as "Gone With The Wind Meets Lost"
What if Confederates, fleeing after the Civil War, ran to the shores of Brazil, and encountered... something? 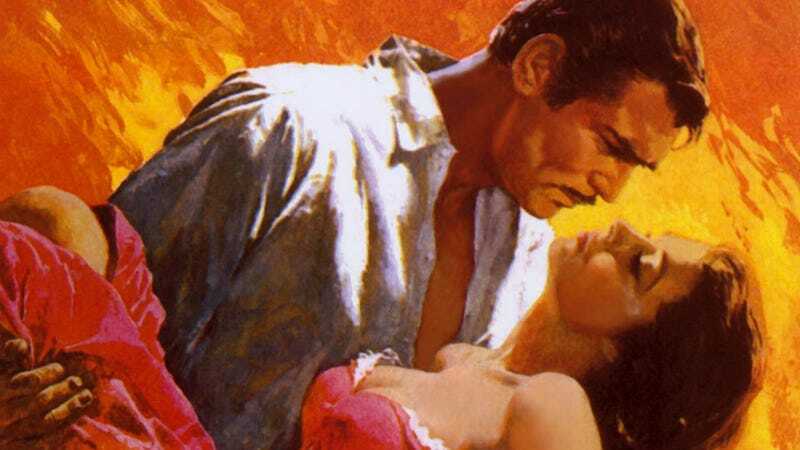 We were intrigued when a new novel trilogy sold to Christian publisher Barbour Books in a "nice deal," and it was pitched as "Gone With The Wind meets Lost." Does somebody say "Frankly, my dear Smoke Monster, I don't give a damn." We were curious, so we wrote to author MaryLu Tyndall, and asked her about the Escape to Paradise trilogy. (The three novels in the trilogy are Forsaken Dreams, Elusive Hope and Abandoned Memories.) And it sounds like the book will deal with some difficult themes, including slavery — I'm assuming it'll be made clear that a true "utopia" does not include slaves. Why is this book being described as "Lost meets Gone with the Wind"? Like LOST, the entire Escape to Paradise series will be about a group of people, who are completely unknown to each other in the beginning of the story, but who are stranded together in the jungles of Brazil trying to survive. They will not only fight the elements, but each other, in addition to a force of evil that continually invokes its powers in order to force them to leave. However, similar to Gone with the Wind, these people will be cultured Southerners, landed gentry, as well as tradesmen, simple farmers, and slaves from the deep South, hoping to rebuild their once glorious Southern Utopia after the ravages of war stole everything from them. Are there supernatural things that happen after the Southerners go to Brazil? Yes. It will be a good vs. evil battle pitting dark forces in the form of witchcraft and demons from ancient cannibalistic temples against the power of good and love and the power of God. Do they encounter some kind of magical realist weirdness? Nothing magical, but lots of events happening in the spirit realm outside the boundary of human senses. Unexplained phenomena, miracles, events that defy reason. Also, does the "Southern utopia" these refugees try to establish include slavery? Yes, historically this is one of the reasons they went to Brazil. Slavery was still legal in Brazil at the time. Also, why is the book being packaged as "inspirational" fiction rather than speculative fiction? The series is told from a Christian world view and should be labeled inspiration historical romance. Although the books will contain a lot of adventure, there will also be a strong romantic thread through each one as well as a spiritual theme. The theme will be slightly different in each book, but the series has two major overlying themes. One, that you cannot run away from your problems and from God, and two, our lives are all interconnected and that God brings certain people into our lives to help us choose the right path.